Eye Movement Desensitization and Reprocessing (“EMDR”) is a therapeutic treatment approach that focuses on the resolution of previously experienced situations, which continue to impact our day-to-day lives, by redirecting the brain to move past the prior event. The fundamental goal of EMDR is best illustrated through the title of one of its leading written authorities, “Getting Past Your Past.” EMDR practitioners recognizes that the way you were raised, messages about your self-worth, or the way that life is presently unfolding, can produce feelings of sadness, anger, depression and anxiety. Whether the trauma occurred recently, or is a previous traumatic event that affects you still today, EMDR is a good approach that can benefit patients individually, or in a group setting. 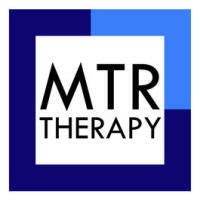 EMDR is an evidenced-based psychotherapy for trauma recognized by the World Health Organization (“WHO”), the United States Department of Veteran’s Affairs (“VA”), and other professional organizations. For more information, go to www.emdr.com, and read the developments in EMDR therapy as well as present research illustrating the benefits of this type of therapeutic approach.